Learning how to type fast is one thing; learning to type faster and still maintain your accuracy is quite another. This Typing Speed Development course will improve typing speed and keep your accuracy up to scratch too – so you’ll be more efficient and productive. Over four stages of the course, we can take you as high as 70 words per minute and that’s a skill which is very much in demand. 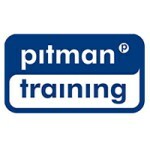 With us, you will not only learn to type quickly, you’ll get the Pitman Training name on your CV too, which is well worth having.